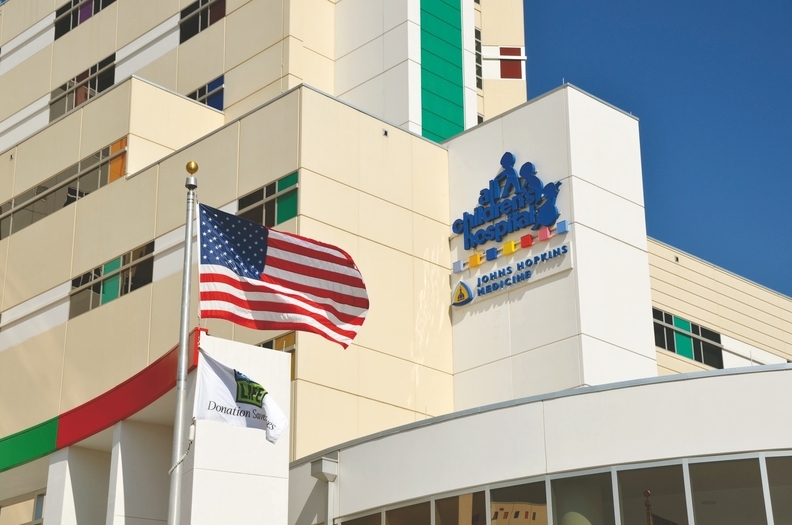 John Hopkins Medicine has removed three more senior administrators at Johns Hopkins All Children's Hospital in St. Petersburg, Fla., after reported dramatic increases in the hospital's death rates for pediatric heart surgeries. The system also announced Wednesday that it had hired three external medical experts to develop a plan to restart the halted heart surgery program at the Florida hospital, which Johns Hopkins took over in 2011. In addition, Johns Hopkins Health System president Kevin Sowers, who has temporarily taken over leadership of All Children's, pointed to the system's hotline for reporting patient safety or other problems. "As we work to rebuild the trust of our community, we must also work to fully embrace and support a culture where we are each empowered and encouraged to speak up and speak out if we see or hear something that concerns us," Sowers wrote in a letter to the hospital's staff. "This commitment applies to clinical concerns as well as inappropriate workplace behavior." At least 11 children died following procedures over an 18-month period starting in mid-2016, despite warnings from staff to hospital supervisors about quality problems in the hospital's cardiac surgery program, the Tampa Bay Times reported in November. The mortality rate in the pediatric heart surgery program tripled from 2015 to 2017, and the hospital had the highest death rate of any program in the state in 2017, according to the Times' analysis. Last month, John Hopkins removed four top leaders at All Children's, including President Dr. Jonathan Ellen, Vice President Jackie Crain, and cardiovascular surgery chief Dr. Jeffrey Jacobs. Dr. Paul Colombani resigned as surgery department chair, and his name was removed from the hospital's website. On Wednesday, Johns Hopkins announced the resignations of Dr. Brigitta Mueller, All Children's chief patient safety officer, and Sylvia Ameen, who headed culture and employee engagement and served as the hospital's spokeswoman. In addition, it said Dr. Gerhard Ziemer, who started as the heart institute's new director in October, would depart. Sowers said Johns Hopkins had hired three external experts to conduct a clinical assessment of the All Children's Hospital Heart Institute and help the system determine the resources and time required to safely restart the pediatric heart surgery program. The three consultants are Dr. Bill Greeley, medical staff president at Children's Hospital of Philadelphia; Dr. Scott Bradley, from the Medical University of South Carolina; and Dr. Bill Mahle, of Emory University School of Medicine. Johns Hopkins previously said its board had commissioned a comprehensive external review of the problems within All Children's cardiac surgery program. It wouldn't say whether that review's findings would be made public. The Times reported that Johns Hopkins shook up the All Children's cardiac surgery program in 2012 by bringing in new surgery leaders to replace existing leaders in the St. Petersburg hospital's respected program. The former president of the hospital's critical-care group blamed that shakeup for the surgical program's subsequent quality problems. All Children's is the latest hospital where severe quality of care problems exposed by the news media led to the ouster of top hospital leaders. In 2017, the CEO of Swedish Health Services in Seattle resigned following a Seattle Times investigation into patient safety issues at the system's neurosurgery institute. This past summer, the CMS cut off federal payments to Baylor St. Luke's Medical Center's heart transplant program following a Houston Chronicle/ProPublica investigation into patient deaths and other poor outcomes.